Since we are struggling to keep up with our ever increasing referrals, we are re-advertising and looking to find another passionate clinician to join our team! Located in Earlwood, Here & Now Psychology is a psychology clinic looking to find motivated and capable clinicians to meet the need of our ever increasing referrals. We are committed to the provision of best practice, evidence based intervention in a setting which offers services to individuals across the lifespan. We believe that the therapeutic relationship with clients is integral to the provision of high quality care and our vision is to build on this through the creation of a warm, empathic and engaging team of skilled clinicians. We are co-located with speech pathology and occupational therapy services, which allows for ease of cross referral and a friendly, vibrant team environment. We have access to an expanding referral base of local GP’s, psychiatrists, allied health providers and community word-of-mouth. We are currently looking for a clinician with experience working with children and young people, to fill a contractor position at our practice. We are looking to fill this position 1-2 days/ week and have current referrals awaiting allocation. We have current availability on Mondays and Wednesdays, with the opportunity for an immediate start if desired. Please send a cover letter and your CV to info@herenowpsychology.com.au and include information regarding your availability and preferred hours of work. 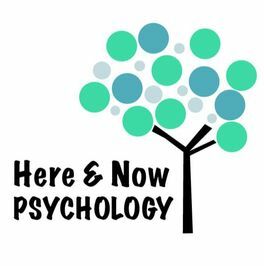 If you require additional information please contact Caitlin Blaxland on 0400 741 577 or you can visit our website at www.herenowpsychology.com.au to learn more about our practice.